Very often, Rosh Chodesh Tammuz falls out in the week that Parshas Korach is read. Perhaps there is a connection between this Rosh Chodesh and Korach. The sefer Shraga Hameir (Rav Shraga Feivel Schneelbalg, zt’’l) asks, why did Moshe Rabbeinu specifically pray that Korach and the men of his rebellion be punished by being swallowed alive by the earth? What was the Middah Keneged Middah, measure for measure here? Rashi comments on the words, “Every thirty days,” that this means “on Rosh Chodesh.” Why do they return every Rosh Chodesh and make that declaration? Perhaps, we can explain it as follows. Korach believed in Aseres Hadibros (the Ten Commandments) since they were pronounced by H-shem Himself. The verses state that Korach claimed, “You have [taken] too much for yourselves [and] since the entire congregation are all holy, and Ad-noy is in their midst, why do you raise yourselves above the assembly of Ad-noy?” On the words, “Are all holy,” Rashi explains, “They all heard the Word, at Sinai, from the mouth of the Almighty.” This indicates that Korach believed in Torah Shebiksav, the Written Law, but rejected Moshe’s teachings and Torah Sheba’al Peh, the Oral Tradition. This also seems to be the opinion of Onkelos, who translates, “And Korach took” as “And Korach disagreed (with Moshe),” connoting splitting or dividing the Torah into two – the Written Law and the Oral Tradition – thereby separating the two. 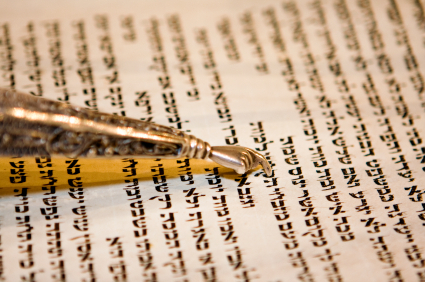 We know and believe that the Written and Oral Torah are one and the same; without the Oral Tradition, we cannot understand the Written Torah. With this explanation, we can understand the Gemara in Shabbos (85a) that teaches that at Mattan Torah, H-shem uprooted the mountain and declared, “If you accept the Torah, good; and if not, here you will be buried!” Tosafos asks on that Gemara, “But hadn’t they already accepted the Torah?” The Tanchuma asks the same question and answers that “accepting the Torah” includes Torah Sheba’al Peh. If the Bnei Yisroel did not accept the Oral Tradition with the Written Law, they would have been punished by being buried under the mountain. Since Korach rejected the Oral Tradition, he was liable to death by being buried alive. Perhaps, this is why Moshe Rabbeinu wanted Korach to be punished by being buried alive. Since his sin was because he didn’t believe in Torah Sheba’al Peh, which is essential to Torah Shebiksav. This can also explain the strange occurrence of the voices declaring, “Moshe and the Torah,” meaning, the entire Torah; Written, and Oral, “is the truth.” Therefore they had to concede to the fact that the Oral Tradition is just as valid as the Written Law. This is why Rashi explained “every thirty days” in the story of the Arab merchant refers to “Every Rosh Chodesh.” Establishing each Rosh Chodesh manifests the application of the Oral Law by a Beis Din. Since Beis Din’s proclamation actually establishes the day they proclaim as the first day of the month, they in effect determine the Jewish calendar year. You can see this and other discussions on www.meaningfulmoadim.com.